The best way to get Windows 10 is to buy a new PC. If your desktop or laptop is more than 4 years old then now’s the time to consider replacing it, call us on 01278 458558 to speak to one of our PC experts for a fully customised quotation. To wet your appetite we’ve handpicked two high performance machines which we consider to be some of the best on today’s market. Small is mighty: Powered by the latest 6th generation Intel® Core™ processors. Multitask smoothly: Up to 32GB of the latest DDR4 memory coupled with new PCIe solid-state drives. Support for three displays: DisplayPort and HDMI connectivity for greater visibility of your tasks, even across multiple applications. Expanded capabilities: Designed to support dual hard drives and expandable discrete graphics, to grow with your needs. Scaled down chassis: The Mini Tower redesigned chassis is 43% smaller than its predecessor. 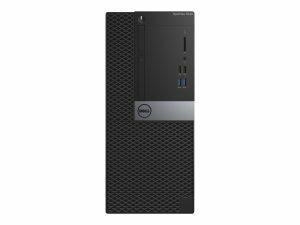 Spec : Dell OptiPlex 7040 MT Mini Tower Intel Core i7-6700 (8M Cache, 3.40 GHz) 8GB DDR4 RAM, 256GB SSD, AMD Radeon R7 350X 4GB Graphics, 8x DVD RW, Win 10 Pro 64-bit, 3 Year Next Business Day Warranty. The smallest 13.3″ (33.8cm) laptop on the planet to have the world’s first virtually borderless InfinityEdge display – amazing both inside and out. More screen, less to carry: The virtually borderless InfinityEdge display maximizes screen space by squeezing a 13-inch display in an 11-inch frame. 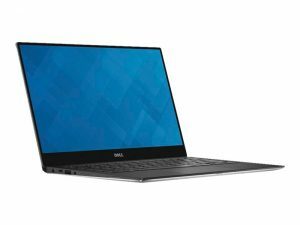 With a bezel only 5.2 mm thin, weighing in at only 2.7 pounds and measuring a super slim 9-15 mm, the XPS 13 is exceptionally thin and light. Touch friendly:Tap, swipe and pinch your way around the screen. The optional touch display lets you interact naturally with your technology. Advanced docking: Featuring a single-cable connection for power, Ethernet,audio and video. The best windows ever meets the best Dell ever. The result? A whole new era of power, performance and productivity. Don’t miss out on your new Windows 10 high performance PC. Call us now on 01278 458558 or contact us.